But this isn’t just an issue impacting consumers; it could also affect our entire industry. Marketing and advertising have become increasingly reliant on digital and online content—mainly video—to reach their target audiences. In fact, nearly 52 percent of marketers say video content provides the best return on investment, and 70 percent plan to use social video ads in the coming 12 months. So, theoretically, the repeal of net neutrality could fundamentally change how they conduct their business. In all the meetings I’ve been in, conferences I’ve attended, and plans I’ve seen, the repeal of net neutrality has not been mentioned. That got me thinking; if this will be as big of a game changer as it’s hyped to be, should marketers be preparing for a post-net-neutrality world? Where is the target audience, and where would they be after repeal? The basics of marketing are getting your content in front of a hyper-targeted, super-focused, and extra relevant audience. This principle does not change based on net neutrality, but what may change is where they are tiered following the repeal. If you’re trying to reach an audience that is less likely to pay for higher Internet speeds, you may need to rely less on video content and more on traditional social media ads. However, if your desired audience is likely to pay more, your content plan may not change at all. While the audience doesn’t change, how you reach them may. Will this be a “survival of the fittest” situation? Consumers will likely need to pay more to see specific content, but will the same go for organizations? Will companies need to pay more to make sure their desired audience sees it? If so, we know that media giants will have the budget to get their content in front of their audience’s eyes, but not all organizations have that luxury. Smaller organizations may need to adjust their strategies—and their budgets—to make sure they’re able to achieve success. Is there anything that marketers can actually plan for? Right now, we’re only speculating what the future could look like. We don’t know how the repeal of net neutrality will be rolled out because there have not been any concrete plans shared with the public. It’s likely that it will take a few months for the repeal to be fully complete, which makes it incredibly difficult to know how budgets, content strategies, and resources will need to change. As such, there isn’t much planning that marketers can actually do ahead of the repeal, other than to plan to plan. Remaining agile and flexible will allow marketers to adapt to potential changes as quickly, efficiently, and successfully as possible. If net neutrality is not repealed, will content distribution stay the same as it is today? There are many people, companies, and states fighting to reverse FCC’s ruling on net neutrality. If they are successful, not much will change in terms of the way we interact with (and pay for) the Internet. So, if marketers make a plan for the future based on a repeal and then everything stays the same, was all that planning a waste of their time? Not necessarily. The way consumers ingest content is always changing—one day it’s Facebook, the next it’s SnapChat, and the next it’s HQ Trivia—so brands should not bank on the lasting popularity of today’s websites, apps, and other existing content channels. Companies should still always be planning new ways to reach their target audiences, even if net neutrality is kept intact. Even though there are a lot of factors to take into consideration regarding the future of content marketing in this not-so-clear future, it’s incredibly important that marketing professionals start talking about net neutrality. This is potentially a huge change in how brands and consumers interact with the Internet, and we all need to be prepared. There’s nothing worse than being caught by surprise when you’ve had adequate time to plan. 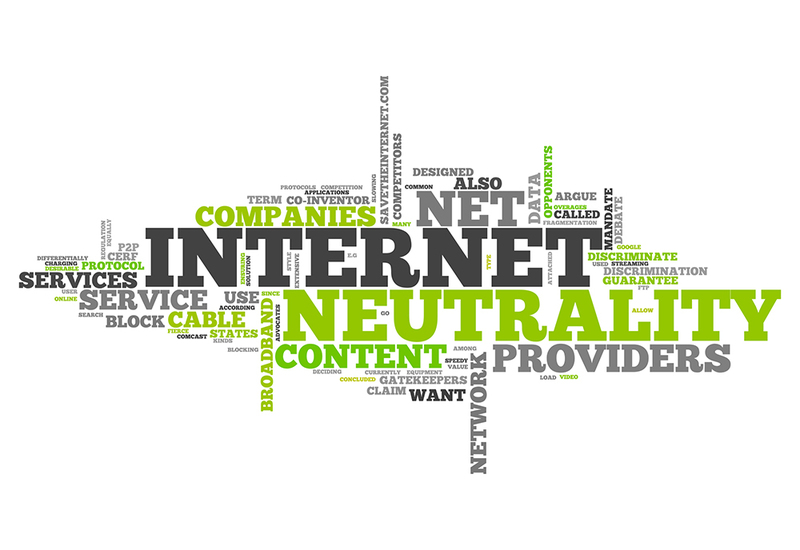 Is your marketing team preparing for a “net neutrality-less” world? By: Ben Tyson, Senior Vice President and Executive Producer of StudioNow.